Im a Fan of Minipix Events... Are you? 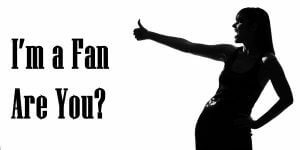 Fill in the below form and you can recommend ‘Minipix Events’ to a friend or family member via a text message. Show your support with a quick share of ‘Minipix Events’. Codie has a truly special business. She is so skilled in photography and creates beautiful images along with stunning products at affordable prices. I had a photo booth with Minipix at my 40th birthday and it was fabulous! Codie was professional throughout the whole process from booking, to setting up her equipment, to photographing my guests. She was extremely friendly and made the experience fun and exciting. I would fully recommend her to anyone thinking of hiring her and will definitely be using her again in the future. Minipix is an excellent company. The photographs are great quality and the service is brilliant. Codie is incredibly professional and friendly. I would definitely recommend Minipix. Minipix is an outstanding company that creates memorable and personal experiences for every occasion. Codie is professional and passionate and strives to cater for your every need. Would definitely recommend. I used Minipix Events on the recommendation of a friend who hired the company to photograph their wedding. Prior to booking, I was shown photographs of what I deemed excellent in quality which undoubtedly captured the happy and fun mood of the occasion and everyone involved. I contacted Codie of Minipix who was very friendly and helpful with my enquiry and I soon felt comfortable asking her to take care of some portraits I wanted taking of my family. Codie showed great professionalism throughout, is very easy to liaise with and very innovative with her ideas. Thoroughly recommend. We recently hired minipix events for a corporate drinks reception evening. Codie captured every aspect of the evening very professionally. We were extremely happy with Codie’s work and have recently re booked. I will and have recommended Codie and Minipix Events to other companies and colleagues. Minipix events offers a professional and friendly photography service.Codie is very adaptable and works well with any age group,and is able to capture special moments by her ability to put her subjects at ease.I would highly recommend her work . We hired Codie at minipix for our wedding, our guests are still raving about her now! The photos we had were some of the best we had all day! She is so lovely and friendly and made everyone feel instantly at ease which made for some fabulous pics! The set up she has is brilliant! She even asked in advance of our colour theme at the wedding and tied in the colours of her booth with our colours, this made the whole thing even more perfect. Some of the photo booths look a little monstrous but codies looked fabulous as though we had decorated it ourselves. I think also having the added bonus of having a photographer there rather than a booth made the photos much better, everyone couldn’t wait to grab another group of friends and get back for a second picture! Couldn’t recommend Codie more highly!! We used minipix for a large corporate event in September. Codie was lovely and very professional. We were very impressed with the photographs so have booked codie for all our 2016 events. Would definitely recommend her. Minipix did a photobooth for my 40th party.. It went down a storm.. Everybody loved it bringing a lot of fun to the party…Real professional outfit and will use again for future events 100%. Codie is amazingly skilled photographer and it just adds to the fact that she’s professional and punctual. I would recommend minipix as I felt at ease and found Codie approachable to discuss different ideas for the event which made the experience. I work for a large sales company and we run conferences every month and we use photographers every time. I was introduced to Codie and asked her to attend our Gala Ball. I have to say her photography was exceptional and she was a pleasure to work with. I have now offered her a full time role for all of our conferences! Codie is such a fantastic photographer who clearly adores what she does, she has so much enthusiasm & this shows in the quality of photographs that are produced. Minipix offers an added extra to any occasion and children & adults alike enjoy having their pictures taken. They ensure that the props available go with whatever your theme is & everyone has a great time. Keep up the superb work Codie….look forward to seeing you at our next party. Amazing photographer I hired minipix for a family event and we are extremely happy with the whole experience! Photographs turned out brilliantly and we are over the moon with them. Would without a doubt recommend to anyone to hire minipix for any upcoming events they have as from start to finish it was a lovely experience. I booked Minipix events following a recommendation from a friend, I opted for the photo booth as I was looking for something a little different for a 40th Birthday party. A brilliant service I can’t recommend them enough, adults and kids alike loved it and from the off guests couldn’t wait to get in front of the camera and don some of the props provided (Hat’s, wigs, various glasses, speech bubbles e.t.c) Everyone gets a copy of the photo printed off for you there and then in brilliant quality (a lot better than any of the automated photo booths that I’ve seen before) I can’t recommend Minipix enough and shall be booking them in for a photoshoot soon given the quality of the pictures taken, professional manner of Codie and excellent value for money. I’ve seen Codie at work more than a few times, and I can honestly say it has been a fantastic experience every time. 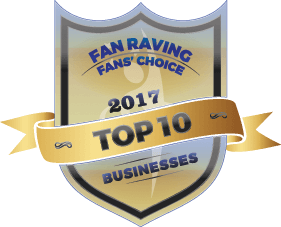 With 100% reliability she delivers not only a high quality service, but goes above and beyond to ensure that the final products are even better than we could have hoped for. Codie works calmly in what I can only imagine to be a very high pressure job, and maintains infectious levels of enthusiasm that both children and adults find her, and Minipix, an absolute joy to be around. I would recommend this business to anyone who has an event to plan; be it a wedding, party, or formal event. I can say with confidence that you will not be disappointed. Minipix are an amazing, creative company with so much to offer. Great to have at any event would defintaky recommend to everyone. Thanks for everything Codie !! Minipix Events offer a fabulous service, offering a unique experience, producing beautiful and fun photos, giving me long lasting memories. Would highly recommend to anyone looking to add a bit of fun to an event. I met Minipix at a conference and was very impressed. Since then I have used Minipix myself. Great service, Codie is lovely and the results are fantastic. Would be happy to use her services again. I would defiantly recommend Minipix to anybody who is looking for a freelance photographer who is reliable honest and thorough with the job and task providing. Working with Codie was not only enjoyable but I felt comfortable throughout the whole process when explaining. What I wanted with my photos and she got them spot on. 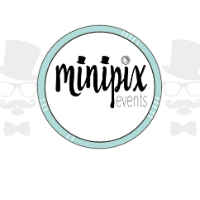 Absolutely brilliant new little company who provided great laughs and memorable photos to all who attended an event I hosted towards the end of last year, the majority of feedback we got mentioned how delighted they were with the minipix photo booth. The staff were exceptionally friendly and helpful and it was great to be able to view our event online so quickly afterwards. Leighswood School in Aldridge, Walsall used Minipix Events in July ’15 as part of our Year 6 Leaver’s Celebrations. We found Codie to be a very conscientious and approachable young lady. She was very versatile and adaptable to our needs. We had a themed event and Codie ensured we had all the necessary accessories to make it fun. The children thoroughly enjoyed the experience and the photographs were presented very professionally. Our event was very successful and we have already booked Minipix for our leaver’s celebrations in July ’16. Well done Codie, you are a star!! Highly recommend Codie at minipix! I hired her to photograph my daughter for her first birthday and I was so impressed by the pictures and how patient she was with my little one I’ve hired her again since and would do again in the future. Thanks again Codie! Mini pix came to school to photograph our children on their visit to see Santa. Codie was so professional and kind to all the children and the photograps were amazing. Feedback from parents said that they preferred the Santa photos to the usual school photos. Codie was so patient – the original allotted time we had sorted for the Santa visits overran and she very kindly stayed until all the children had visited. She even had lunch with Santa in the school hall with 200 children staring in amazement! Codie has also been employed by the school to run a photobooth for our year 6 leavers. I have never seen anyone work as hard as she did to ensure as many children as possible could have a fun memento of their last primary school disco . She was awesome! We will definitely book her again to record other school events! Codie at mini pic we love you!!! Minipix is a fantastic photography buisness which captures those special, natural moments that will last a lifetime! Due to being involved at an actual Minipix event, it was lovely to see how the experience brings family and friends together at very special occasions. In addition to this, the atmosphere is very up beat and gives people the chance to be creative, while enjoying themselves at the same time. For special memories, Minipix can offer it all! Minipix provided us with fun and amazing photographs for our guests when they set up a photo booth for our wedding reception. Minipix catered for all our needs including the colour theme. Amazing and wonderful lady, who goes beyond what is expected. I hired Minipix events for a casino night we had at our Christmas party. Our clients loved the photo booth experience Codie at Minipix provided, everyone was taking pictures with the props provided and having a great time doing this ! Couldn\’t of asked for more from Minipix and will definitely book again next year. My family and I love minipix events as they are a fun and versatile company. We have had portrait pictures taken of our little boy which were beautiful and have received many compliments when sharing these with friends and family. We also had Minipix Events photo booth at our sons first birthday and the photographer was very professional and fun. We have lots of themed photos from the day to keep as a memento. Would highly recommend Minipix Events for professional looking photos and a fun friendly service. Minipix came and set up at our wedding venue. We hired the photobooth and what a hit it was!! The guests LOVED it, Codie was professional, friendly and creative and put a lot of time in the build up getting the design right to work with our theme. Would book again and definitely recommend.